Exclusively Ours! Cadmium, Lead & Nickel Free!! 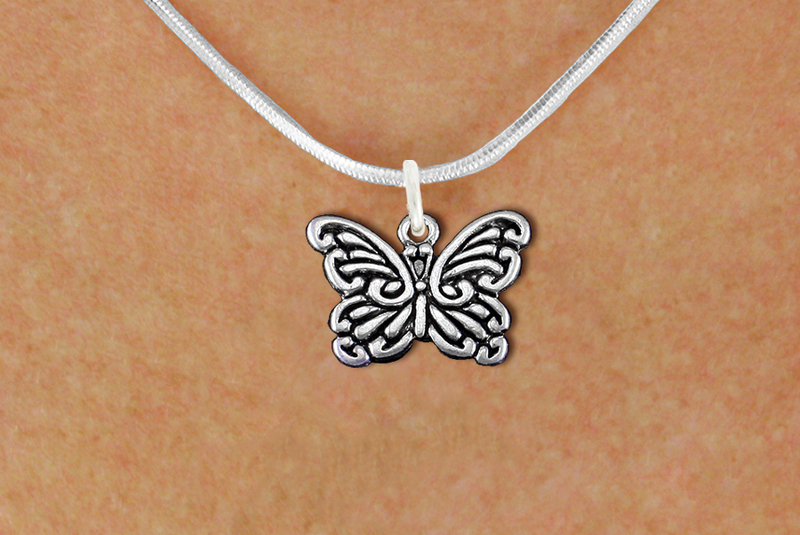 Small, Detailed, Antiqued Silver Tone Butterfly Charm Comes On A Necklace Style Of Your Choice: Ball Chain, Regular Chain, Snake Chain, Toggle Chain, Or Black Suede Leatherette. 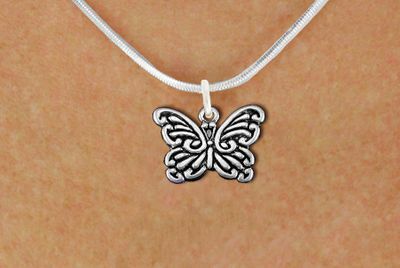 Charm Measures: 1/2"h x 3/4"w.